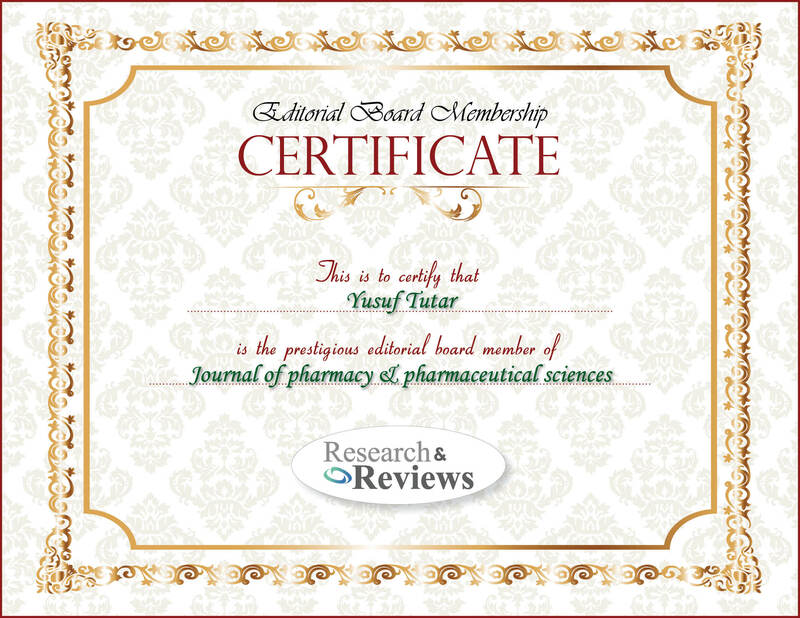 Prof. Dr. Yusuf TUTAR is the Head of Biochemistry Division and Basic Pharmaceutical Science Department at Faculty of Pharmacy, Cumhuriyet University, Sivas Turkey. Dr. Tutar is also the Head of Biomedical Engineering Program at the same university. He obtained his MSc and PhD at Oregon State University and Texas Tech University respectively. He pursued his postdoctoral study at National Institutes of Health (NIH/NIDDK), USA. His research focuses on Biochemistry, Biophysics, Genetics and Molecular Biology with specialization in the fields of protein structure-function, protein folding, prion, microrna, pseudogenes, molecular cancer, proteomics, genomics, protein expression and characterization by spectroscopic and calorimetric methods. His research focuses on Biochemistry, Biophysics, Genetics and Molecular Biology with specialization in the fields of protein structure-function, protein folding, prion, microrna, pseudogenes, molecular cancer, proteomics, genomics, protein expression and characterization by spectroscopic and calorimetric methods.